AN INDIVIDUAL'S WEB PAGE: To go to an individual's web page, use the Person Search option using an individual's full name i.e. no inititals or locate an individual in the charts and click on the hyperlink. WHO IS INCLUDED IN THIS WEB SITE? Only deceased individuals or those living individuals who have reached the age of 92 (as per the guidelines used by Stats Canada for releasing Census records) are included in this web site. The compiler's database includes 25,000 names. ACKNOWLEDGEMENTS: This compilation builds on the work of Dr. Walter Columbus Shier (1869 - 1944) of Uxbridge, Ontario, the author of A Family from Court Mattress, who completed his work in the early part of the 20th Century. Cousins' Hazel Shier-Carlton (1934 - 2017) of Carnduff, Saskatchewan and Stephanie Lillian Shier-Outtrim (1922 - 1987) of Vancouver, British Columbia subsequently completed several updates to Dr. Shier's work. Marion Shier of Ontario did the initial research on the descendents of Nathaniel Shier (1817 - 1849) and Rachel Doupe (1918 - 1894). Her work was further developed by Larry Shier. In the 1940's George D. Shier and Florence Roberts did much research on the line of Henry Shier (1730 - 1814), his siblings and descendents. Nancy Shier Crocetti and Anne Klintworth further developed Henry's line. 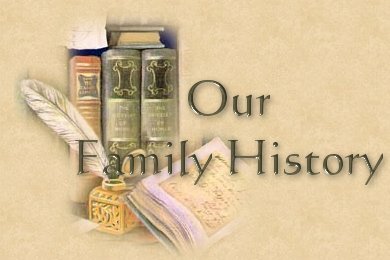 You can follow Anne's blog at genealogygirl.wordpress.com. Manitoba: Harolyn Capstick, Toni Raugust.